Their incomparable comfort! 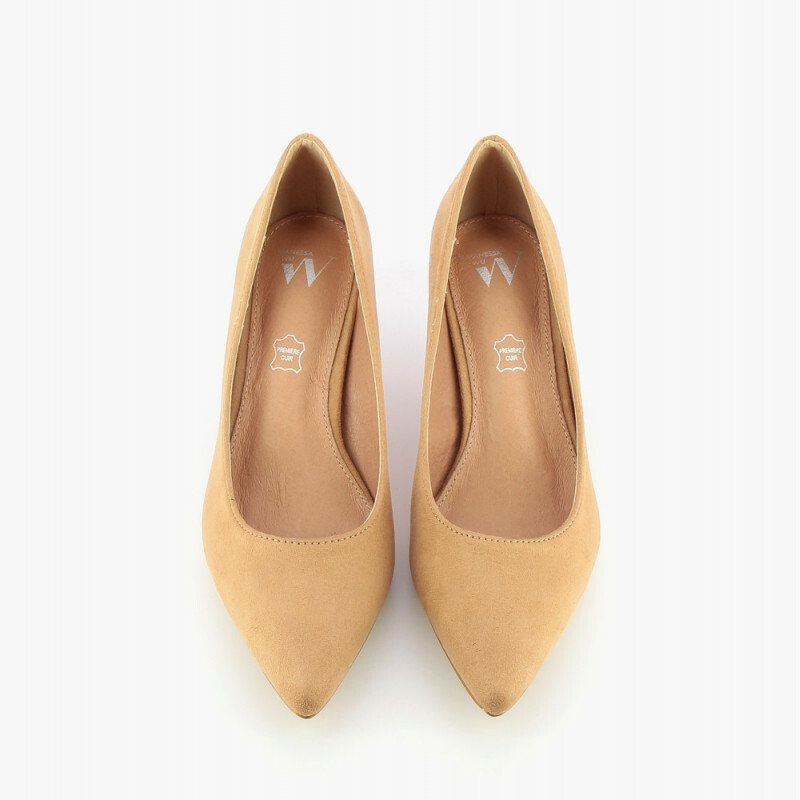 Their height is perfect to walk all day long while staying elegant. 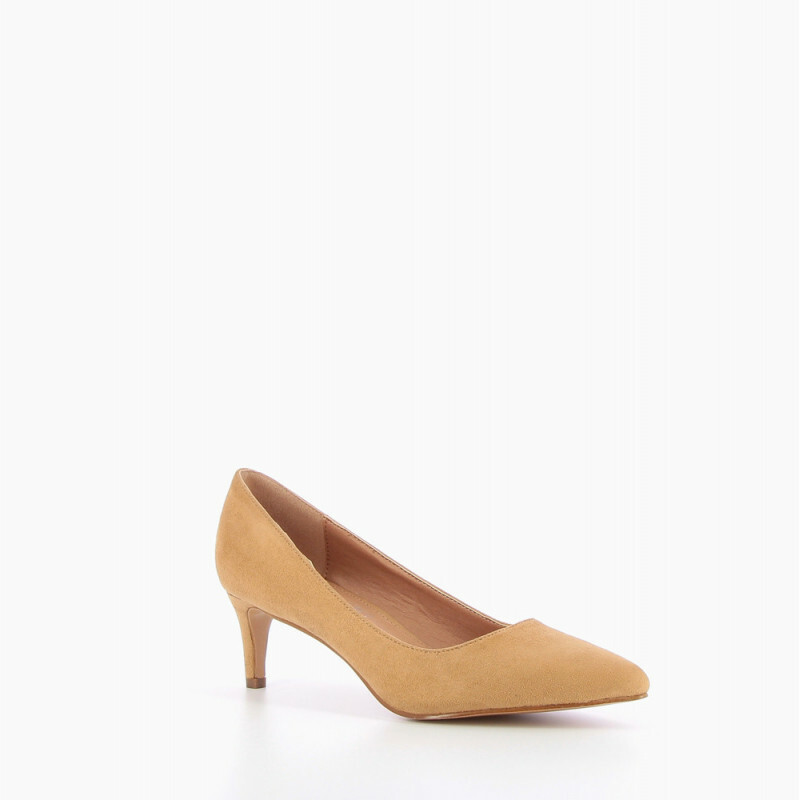 To wear with rolled-up jeans and a half tucked-in shirt, for a chic and casual look. 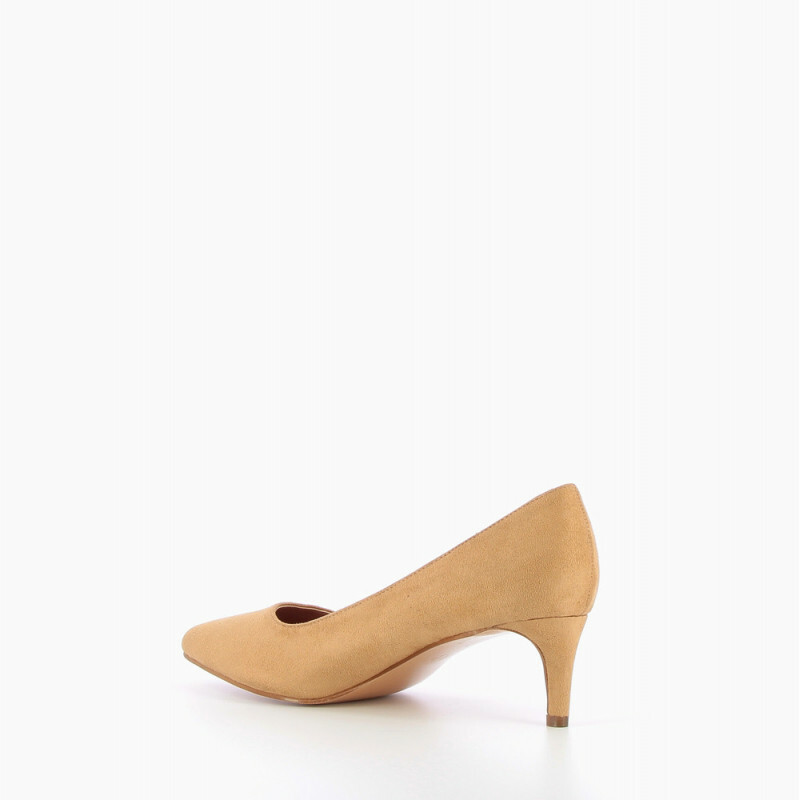 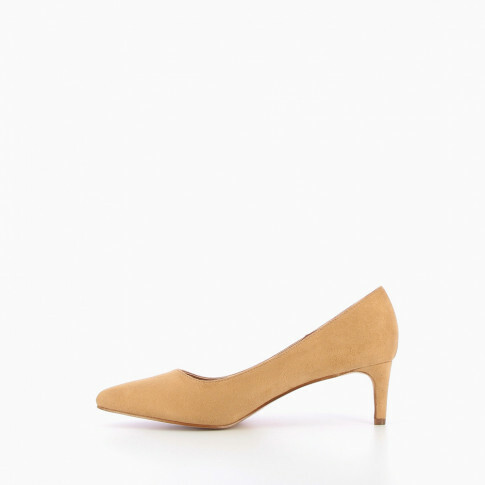 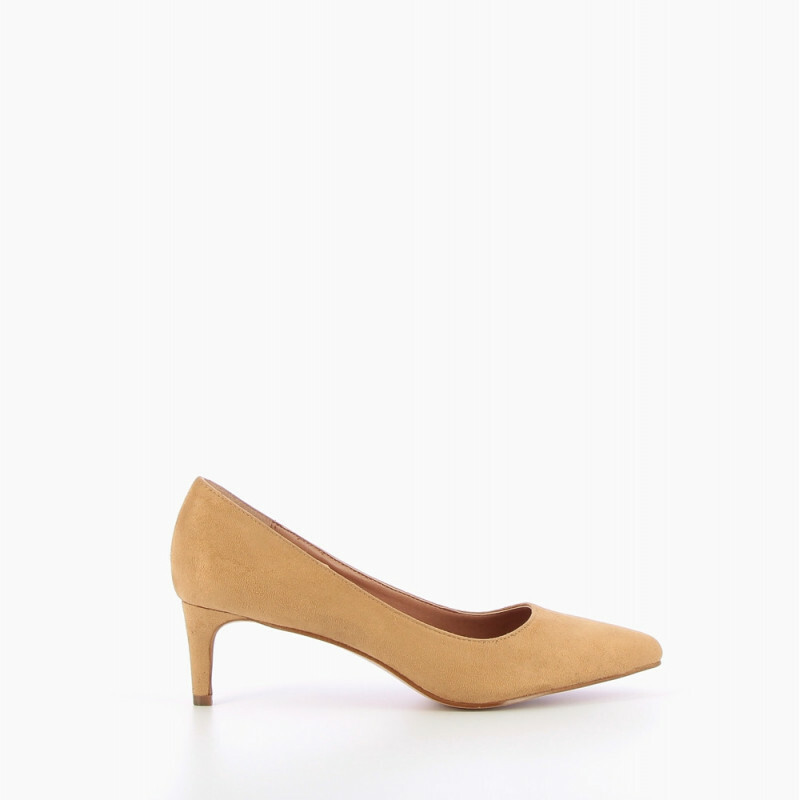 Apricot classic suede effect pumps. 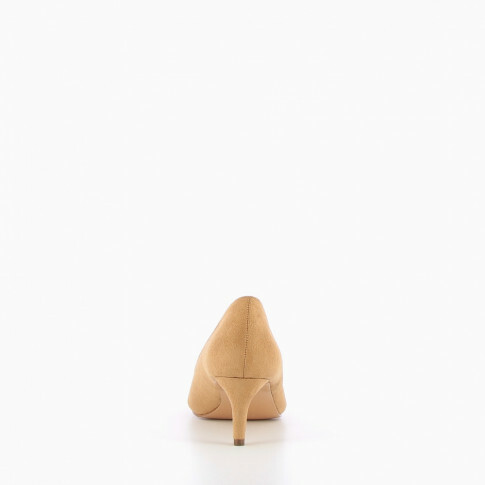 Pointed toe and small coated slim heel.